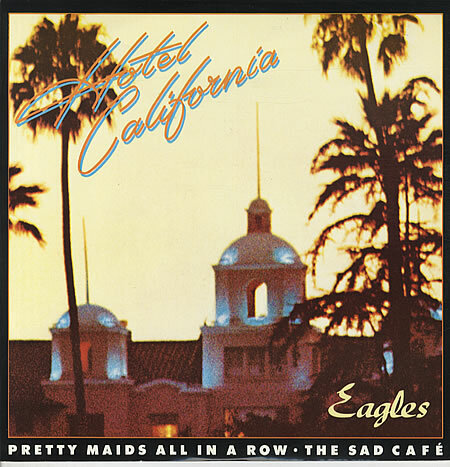 Hotel California: What were the Eagles thinking? “Hotel California” is the title song from the Eagles‘ album of the same name and was released as a single in February 1977. It is one of the best-known songs of the album-oriented rock era. Writing credits for the song are shared by Don Felder, Don Henley and Glenn Frey. The Eagles’ original recording of the song features Henley singing the lead vocals and concludes with an extended section of electric guitarinterplay between Felder and Joe Walsh. The song has been given several interpretations by fans and critics alike, but the Eagles have described it as their “interpretation of the high life in Los Angeles”. The abstract nature of the lyrics has led listeners to their own interpretations over the years. In the 1980s, some Christian evangelists alleged that “Hotel California” referred to a San Francisco hotel purchased by Anton LaVey and converted into the Church of Satan. 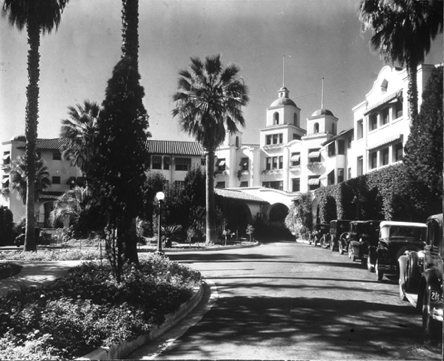 Other rumors suggested that the Hotel California was the Camarillo State Mental Hospital. The term “colitas” in the first stanza of the song is a Spanish term for “little tails” and in Mexican slang it is a reference to the buds of the Cannabis plant. According to Glenn Frey‘s liner notes for The Very Best of Eagles, the use of the word “steely” in the lyric (referring to knives) was a playful nod to band Steely Dan, who had included the lyric “Turn up the Eagles, the neighbors are listening” in their song “Everything You Did“. 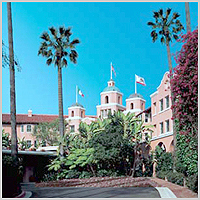 The cover image is of the Beverly Hills Hotel. It was photographed by David Alexander with design and art direction by Kosh. The rear album cover was shot at the Lido in Hollywood.